“Hawaii!” – Yes, we are happy for you that you are in Hawaii, but at least post a picture or something. Make it interesting. But honestly, if these posts were that annoying and insufferable, nobody would go on Facebook because these type of posts are littered all over the site. Granted, the article itself is kind of jokey. But is it really all that bad to post something like “Guess who just got into med school!” on Facebook? If we post about our incredible, brilliant accomplishments and “induce jealousy,” that’s the viewer’s problem, right? Everybody else does it. Therefore, it’s not bad, right? We don’t think that this author thinks our status updates are insufferable – whatsoever. But we do think that he is looking down on us (kind of contradicting for an article that’s trying to promote humility) for being self-serving – and is warning us of the unintended consequences of becoming addicted to social media. Indeed, there are some. The more we post, the more we check – especially if a post is gossipy, funny, juicy or exciting. We get into arguments and we try to think of funny comeback comments. In a way it exercises our reasoning and creativity skills. I’ve once spent an hour commenting on some status update on Facebook. Once you pop, the fun doesn’t stop. But before we know it, we’ve realized we spent half of our day staring at photos of people that mean nothing to us. Before we know it, we’ve just lost 3 hours of our lives to some status update that reads, “The Affordable Care Act is going to destroy our country,” arguing with someone we know we could never make weight with. We leave the computer feeling more discouraged and angry. Yes, there is something to be said about humility, what this “serve others” article is ineffectively trying to promote. Humility is an absolute virtue. It promotes self-respect and kindness. And according to human principle, we cannot truly befriend someone unless we give kindness back. And that is precisely why it is OK to post something like “Guess who just got into med school!” Because it allows the spread of kindness. It allows others to be happy for one another. It gives us an opportunity to makes others feel good about themselves. That’s a very, very, very good thing. 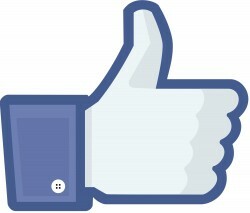 Yes, getting lots of likes on Facebook can make us feel better about ourselves, no doubt about it. Isn’t that why Facebook is so addicting? Absolutely. We post things and can get an immediate positive response. But Facebook can only invite so much surface happiness in to our lives. The deep stuff must be gathered non-virtually, obviously. We think most of us are smart enough to know that. We think most of us are smart enough to know when we are truly being insufferable on Facebook.